Weekly Round-Up: Jason Isaacs in Season 2 of The OA, a Closer Look at Jude Law in Captain Marvel, Harry Potter Alum Stand Up for Gender Equality & More! News arrived by owl post from all corners of the Wizarding World this week. Harry Potter and the Prisoner of Azkaban director Alfonso Cuaron wrapped up awards season by taking home three Oscars for his acclaimed autobiographical film Roma, Wizarding Wednesdays returned with the upcoming release of the Crimes of Grindelwald DVD and Universal announced their new Dark Arts at Hogwarts Castle feature coming next month. Pottermore shared that last year’s giant Wand Installation in London would be going on tour, MinaLima revealed new Potter and Alice’s Adventures in Wonderland graphic art and several Harry Potter charities have joined forces for a virtual run event, and to top off the week, we announced our Classic Stills $1000 Harry Potter fine art prints GIVEAWAY!! In this week’s Harry Potter and Fantastic Beasts Actors Round-Up; a sneak peek of Jason Isaacs in season two of The OA, a closer look at Jude Law in Captain Marvel ahead of its world premiere, Emma Thompson defends her departure from the animated voice cast of Luck, Julie Walters hosts a new Turning Points series for Classic FM, Robert Pattinson is featured on the High Life soundtrack, Helen McCrory’s Peaky Blinders season 5 look revealed and more! After a major cliffhanger of an ending to its first season way back in 2016, Netflix sci fi fantasy The OA finally returns March 22. 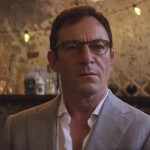 Season 2 of the series, deemed The OA Part II again stars Jason Isaacs, Harry Potter’s Lucius Malfoy, as another villainous character, Dr. Hunter Hap who in season one performed some near death experiments on four people held captive in his basement. He almost makes Death Eaters sound charming. Take a look at the trailer for The OA Part II below. Like us, it looks like Jason Isaacs is planning a rewatch of season one soon! Just days away from the anxiously awaited premiere of Captain Marvel a new trailer has dropped with a closer look at Jude Law, Fantastic Beasts, Albus Dumbledore. Law, whose character has been kept under wraps, and is assumed to be Kree military commander Yon Rogg, is shown sparring with Captain Marvel’s Carol Danvers which leads fans to believe this is probably the case. Take a look at the sneak peek below for the film which will stream its red carpet world premiere next Monday, March 4 at 8:30p ET at marvel.com. Captain Marvel opens in theaters March 8. Thompson’s letter to Skydance Animation can be seen in its entirety in the Los Angeles Times. In other Emma Thompson news, Late Night, the darling of this year’s Sundance Film Festival starring Thompson as the first woman late night talk show host, announced a June 7 theater release date, so mark your calendar! Also per The Independent David Tennant, Harry Potter’s Barty Crouch, Jr will also be in attendance at the event with Bonham Carter who will be seen as Princess Margaret in the upcoming season 3 of Netflix The Crown. Are you planning attend any events on International Women’s Day? Let us know! 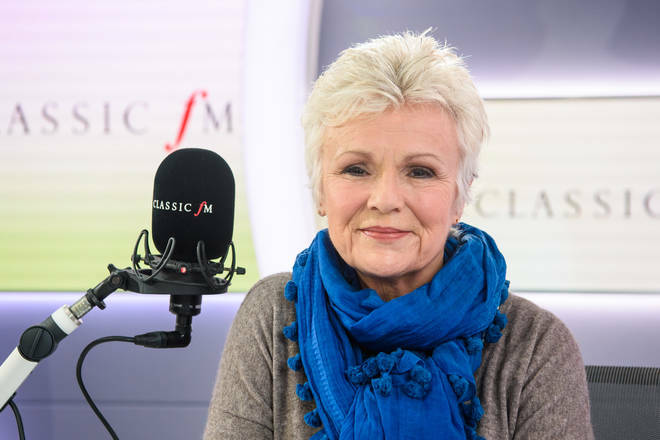 Over the course of the next seven weeks, Julie will celebrate classical ‘firsts’, great inventions, performances that shocked the audience of the day and the characters who changed the course of music history. This second series of Turning Points will begin airing Saturday, March 2 at 9pm on Classic FM. Robert Pattinson, ill-fated Triwizard Champion Cedric Diggory, plays a criminal who’s tricked on board a spaceship hurling towards a black hole in the upcoming sci-fi film High Life. Earlier this week a song from the movie’s soundtrack was released and fans got to experience a different side of the former Harry Potter Hufflepuff heartthrob. Pattinson sings lead vocals on the track called “Willow” performed by English alt rock band Tindersticks. Take a listen to the song below for yourself. Maybe Cedric should have been given a “Hoggy Warty Hogwarts” solo in Goblet of Fire! High Life will open in theaters April 12. 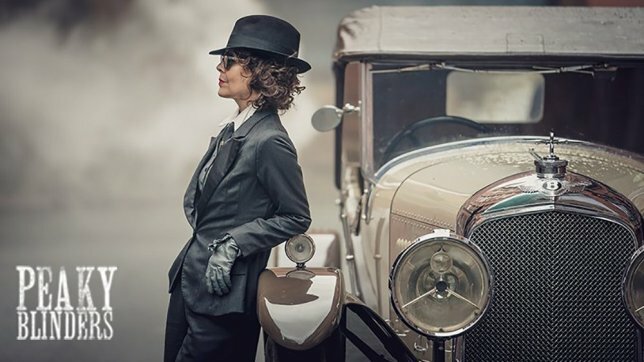 The post WWI British crime drama Peaky Blinders starring Helen McCrory, who’s known to Potter fans as Narcissa Malfoy, revealed sophisticated a first look at McCrory’s Aunt Polly in season 5 of the hit series that took home the TV Choice Award for Best Drama last year. Peaky Blinders, which moves to BBC One for its fifth season will air sometime in 2019. In the meantime seasons 1-4 can be binged on Netflix while you wait. 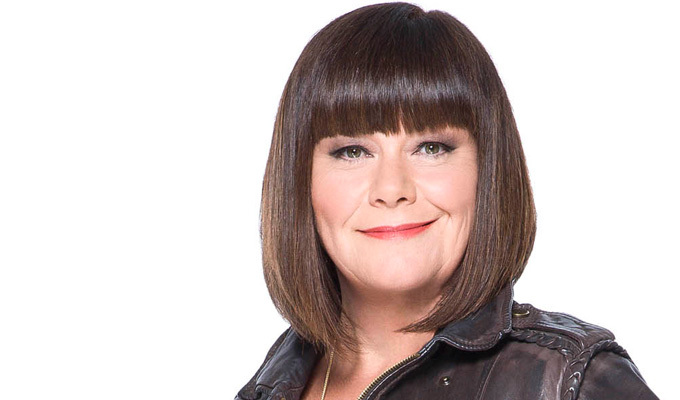 Dawn French, the British actress, writer and comedian, who fans may recognize as The Fat Lady in Harry Potter and the Prisoner of Azkaban, is set to star in the new comedy for British commercial broadcaster ITV Glass Houses. “It follows the stories and fall out for Maggie Connors, played by French, who doesn’t pay attention to the cautionary adage that ‘those in glass houses shouldn’t throw stones. Connors is a central character in town who makes it her business to know a bit about everyone’s lives. When a radio journalist interviews her for a small reportage piece about local life she gives him far more detail (and embellishment) about the locals and their personal lives than he was counting on. In the days and weeks following the show’s broadcast, Maggie sees the butterfly effect of how her very public gossip-fest affects various figures around the town and disrupts their lives. No word when production on Glass Houses begins, but Deadline said that the series intends to be distributed internationally. Veteran actor David Bradley, who played Hogwarts Caretaker Argus Filch in the Harry Potter films, is set to appear in the upcoming six-episode Netflix comedy series After Life starring Ricky Gervais. Check out the latest trailer for the series (EXPLICIT CONTENT ALERT) in which Bradley stars as Tony’s aging father. After Life can be seen on Netflix March 8. That’s the end of our Harry Potter and Fantastic Beasts Actors news for this week, but without a doubt our next round-up is just around the corner! UK and US residents don’t forget to enter our GIVEAWAY of $1000 (£800) of Harry Potter fine art prints from Classic Stills. Find out how to enter here. Weekly Round-Up: Daniel Radcliffe in 'Miracle Workers' Trailer, First Look at Dame Maggie Smith in 'Downton Abbey' Movie, & More! 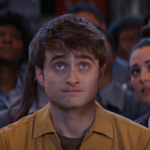 Weekly Round-Up: An Animated Daniel Radcliffe, Behind the Scenes with Little Women, An Insightful Interview with Evanna Lynch, Miriam Margolyes in the Call the Midwife Christmas Special and More!